​WHAT'S BREWING AT NIMBLE HILL YOU ASK? At Nimble Hill Brewing Company we are doing what we do best, producing great tasting beer with quality ingredients. Come & Taste What's Brewing at Nimble Hill! Nimble Hill Brewing Company is a 15-barrel farm-style brewery that believes quality ingredients lead to great tasting craft beer. Nimble Hill Winery and Brewery’s owner Gary Toczko and Brewmaster Mike Simmons are doing just that, by offering a variety of year round and unique seasonal beers, while experimenting throughout the year with limited releases! Along with making great tasting beer, we are also trying our best to keep things as local as possible. Starting with our ingredients, materials we use to package our products, along with the artwork for our labels and point of sale. The effort is more visible in our hop fields and vineyards. Visitors are always surprised to learn that we grow our own hops and grapes in the hills of Wyoming County. 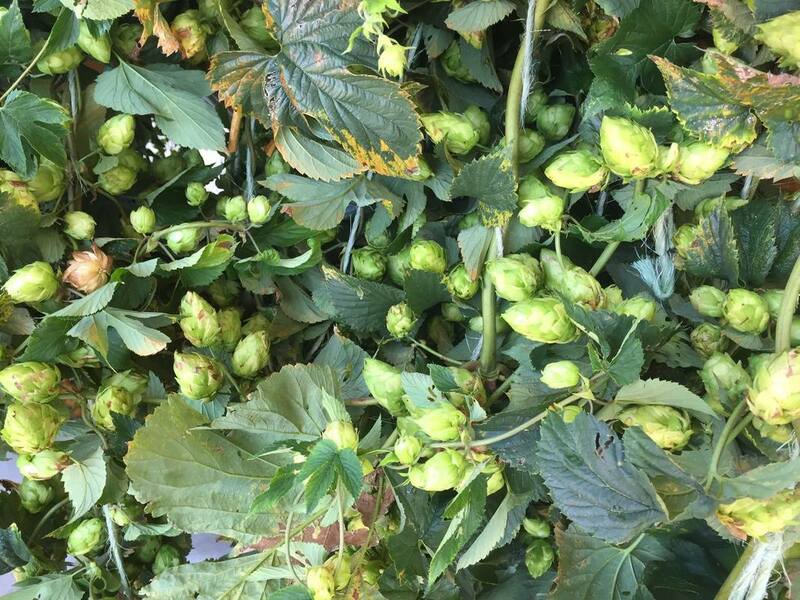 As of right now Nimble Hill has a 1 acre hop field which climbs on trellises just past our 10 acre vineyard. Our plan is to continue advancing our hop fields and vineyards each year so that we may become more of a self-sustaining winery and brewery. The winery and brewery have always been complementing each other since day one. Winemaker Kevin Durland and Brewmaster Mike Simmons work closely together to be able to make some of the most unique and interesting craft beers. For example, our Russian Imperial Stout (Turbo Diesel) that we age in our port wine (Mountain Magic) barrels to our sours (Vidal Sour and Cab Franc Sour) that we ferment on grape skins and age in our wine barrels. If you would like to find out more about Nimble Hill Winery and Brewery stop by our tasting room in Tunkhannock and talk to one of our tasting room experts. Or, you can follow us on Facebook to find out what is brewing, our events in the tasting room, and around the area. We are looking forward to seeing you. Cheers!! ​Tasting Room & Growler Den TODAY! *Growler fill Fridays are here!! *$5 off ANY case of beer on Fridays! 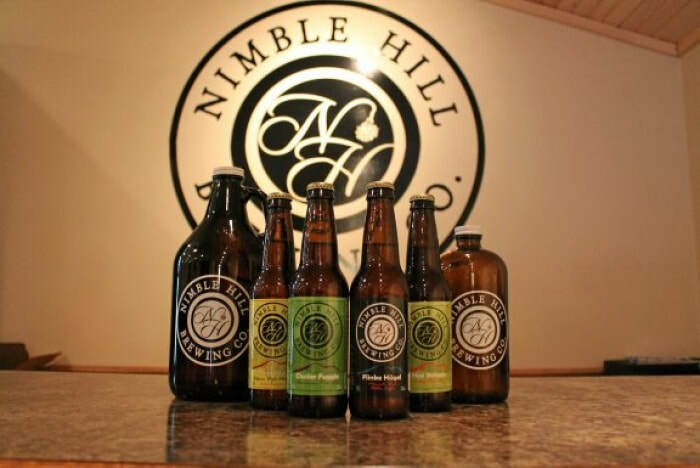 ​Sundays Nimble Hill Brewing Co. will be having $3 flagship drafts all day long.